A little while ago we posted a blog about how to time your Facebook posts just right. In that piece, the point was made that timing on social media is far from an exact science. And while that still stands, tools are being developed all the time to make timing on Facebook more precise, in order to optimise engagement. One such instrument is PageLever Now, the new visualisation tool from Facebook analytics platform PageLever, which offers analytics data in real-time. This is a massive step forward for online marketers, as it will allow them to track the peaks and troughs of daily engagement and ultimately pinpoint the exact time of day that the highest volumes of followers engage with their content, facilitating a much more targeted and time-focused approach to campaigns going forward. Historically, this kind of information has only been available retrospectively, or as raw data; PageLever Now provides user-friendly charts which tell you exactly what content is doing well at that moment. In addition to providing valuable insight into the best time of day to post, PageLever Now offers post scheduling functionality. The thinking behind real-time visualised analytics is essentially that the better a particular piece of content is received, the more there is that can be done to help it reach an even wider audience. For example; if an image or status update is gaining considerable traction, then page managers can buy a Promoted Post while the content is still riding that popularity. 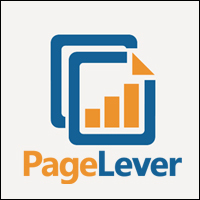 To make this popularity as clear as possible, PageLever Now ranks your content by level of engagement, rather than by chronological order. Posts that have been active recently float to the top, and new comments automatically glow. PageLever Now is also designed to allow simultaneous management of multiple communities; the ‘Monitor’ screen automatically alerts the page manager to new activity they haven’t seen on other pages. The dashboard also sorts pages by activity, so marketers can easily prioritise which pages require attention. And, for those who are curious about what people might be saying on Facebook about your page, PageLever Now gives its users the ability to search public posts across the entire network for mentions of your page, enabling them to engage with fans by joining conversations about their brand. On the lookout for a digital marketing agency for your latest online campaign? Get in touch to learn more about our social media marketing services.